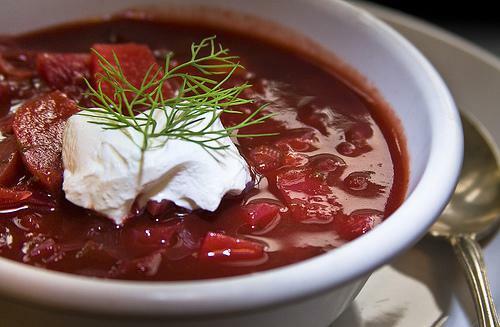 This is a warm, winter soup. 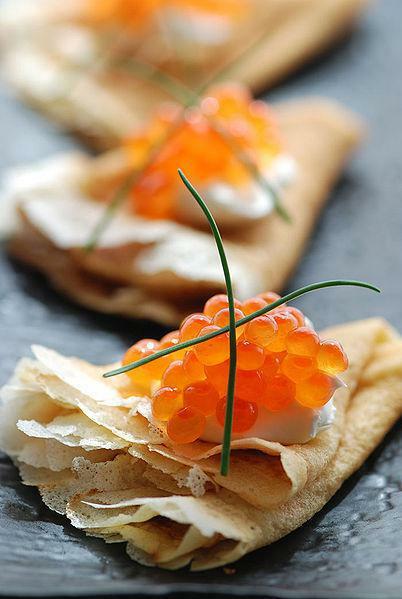 These are thin, Russian pancakes. 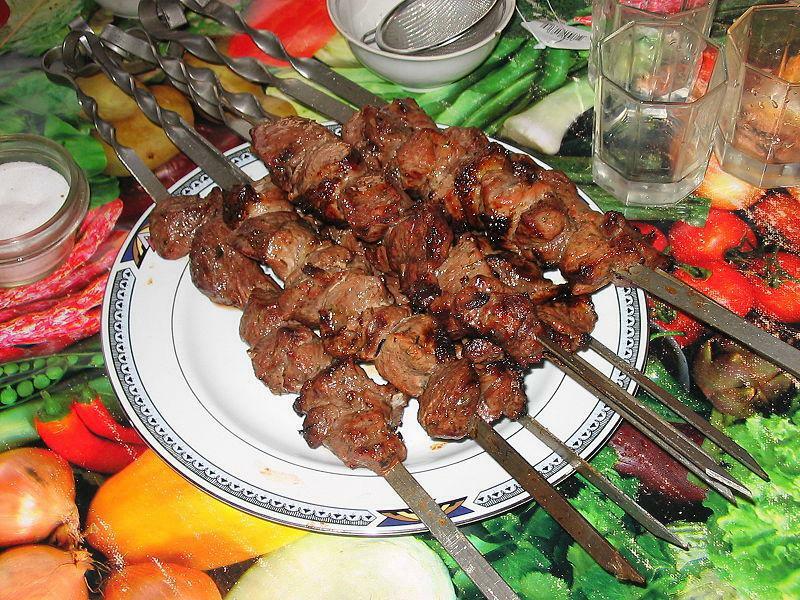 This is meat on a stick.